The nice people at the Botanical Gardens have erected a sign showing exactly what the taxi rate is from Botanical Gardens to various destinations in Puerto Vallarta and Banderas Bay. However, do confirm the taxi rate with the cab driver before entering the taxi. 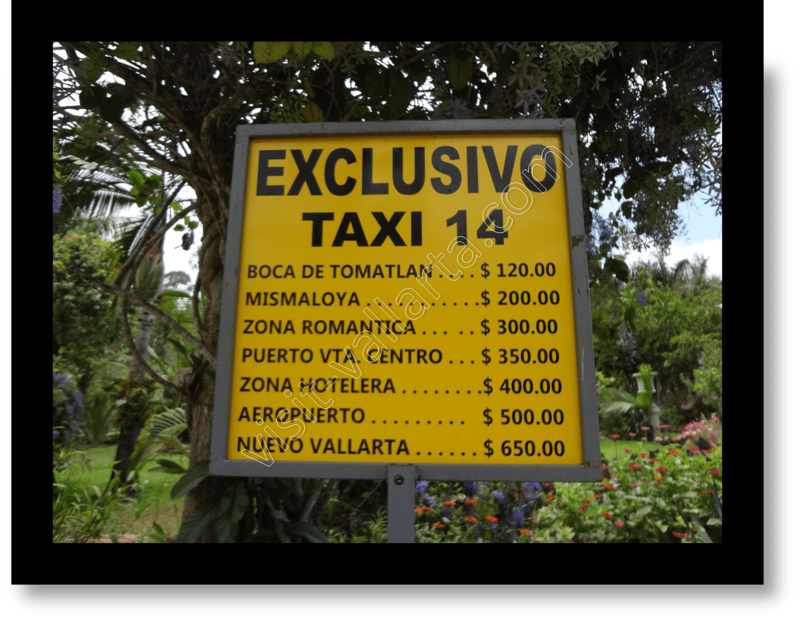 This taxi rate sheet is posted at the Botanical Gardens in Puerto Vallarta, Mexico.